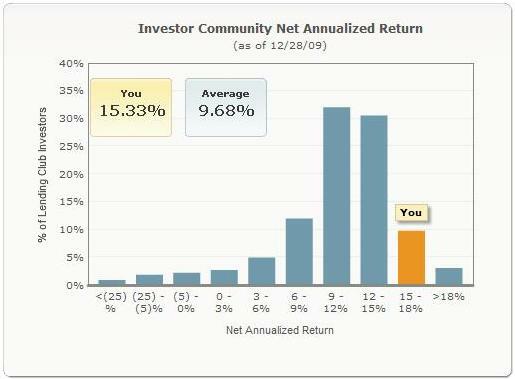 As of today, I’m enjoying a 15.39% annualized return on my investments with Lending Club. Lending Club is the awesome peer to peer lending investment website where you can lend money without a bank straight to individuals who need it the most. The beauty of the service for investors is that you can earn a great interest rate on your investments. Most impressive Hank! Congrats all around!! !